Another Lament is a salon opera commissioned as part of Chamber Made's Living Room series which presents performances in private residences, though it has since been performed at Melbourne's Malthouse. Co-created with Rawcus, an ensemble for performers with and without disabilities, Another Lament is directed by Kate Sulan and composed by Danish cellist/vocalist Ida Dueland Hansen who also performs in the work. 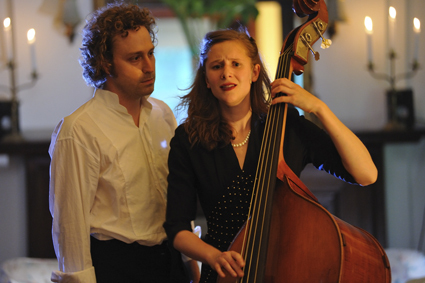 The piece is loosely based on the tragic demise of 17th century British composer Henry Purcell. Kraig Grady is a US-born composer currently based in Wollongong, NSW. He performs with Terumi Narushima as Clocks and Clouds. 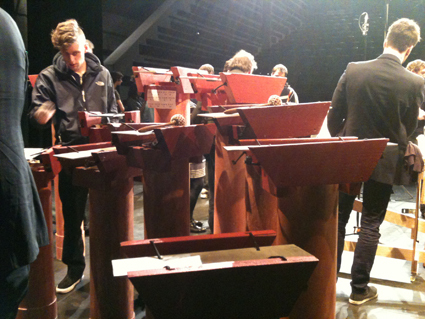 Heavily influenced by Harry Partch, Grady has an ongoing interest in microtonal tunings, building his own instruments in order to perform his compositions. In fact Grady has created an entire meta-world to encapsulate his compositional thinking, Anaphora Island. The WIRED Lab was established in 2007 as an artist collective comprising Sarah Last, David Burraston, Alan Lamb and Robin Fox. It is situated on a rural property in Cootamundra in the Riverina district around 400 kms south west of Sydney. 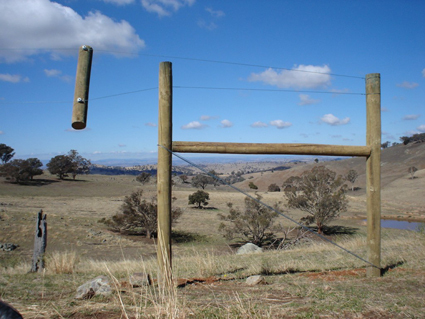 The collective’s overall intention is rooted in broader investigations into connections between art, science and environment, however the initial project for the group was to further explore the long wire techniques developed by Alan Lamb over the last 30 years. David Burraston lives on the property and is conducting ongoing research. This track is from the Rainwire project which “forms part of an art/science initiative to investigate environmental sonification of land based natural rainfall using large-scale long wire instruments” (academic paper Charles Sturt University).